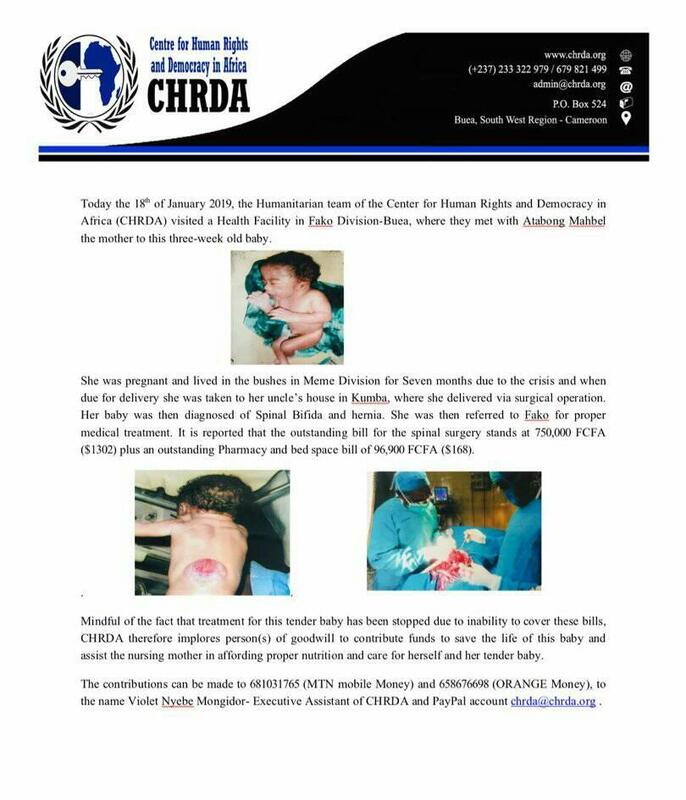 The Center for Human Rights and Democracy in Africa today Sunday 3rd February 2019, visited Solidarity Clinic in Wokoko Buea to assist Atabong Mabel, mother to the baby who was operated in January. 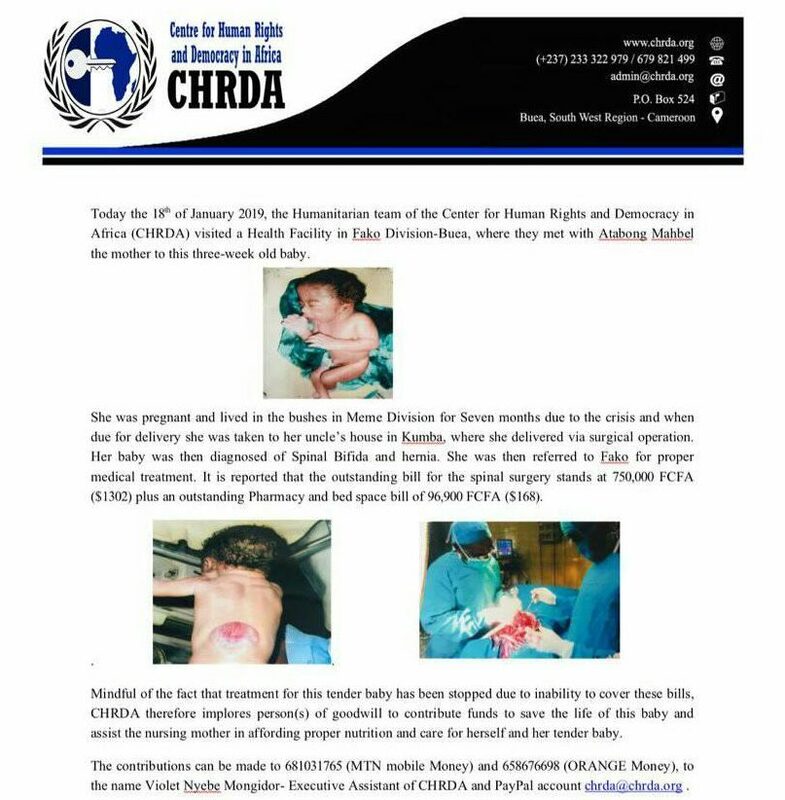 CHRDA together with the support of other well wishers was able to cover the remaining balance of her hospital bills and handed the balance to Mabel to cover other needs. CHRDA and Atabong Mabel expresses profound gratitude to all those who supported this noble gesture especially LESA USA.